Early this year, I was asked by Ruger to perform some testing on both new Super Blackhawk models, under a veil of secrecy of a strict embargo. I put nearly 1,000 rounds through the .454 and almost 5,000 rounds through the .480 model. Appropriately dubbed an “endurance test,” I wasn’t sure whose endurance we were testing, mine or the guns’. I had no support crew or relief shooters. Just me, the revolvers, the bench, and piles of ammunition. I am happy to report that I survived and my hands are still somewhat intact. I can’t figure out what’s wrong with me. I have an inability to say no when asked to test firearms that I find irresistible – irrespective of the parameters of the test. When I was first approached about these projects by Ruger engineers last year, I was told that I was on a short list to test the .454 Casull and .480 Ruger Super Blackhawk single-action revolvers. They said something about being recoil-proof and a glutton for punishment in explaining why I had been chosen for this honor. My wife neatly sums up these “qualities” with one word; numb. No problem I said, and thanks, I think. I love a challenge. In February, a call from my FFL indicated that the first installment had arrived along with a couple hundred rounds of .454 Casull ammunition of various manufacture and bullet weights. 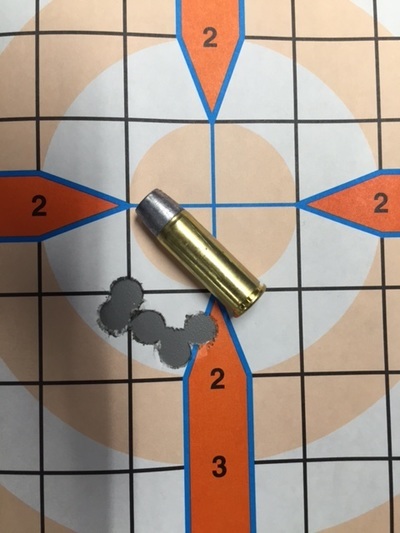 I tested that revolver to the tune of nearly 1,000 rounds in a short period of time. Shortly thereafter, a .480 Ruger Super Blackhawk arrived and this time, my FFL told me that I should bring my truck to haul all of this ammo out of the entryway of his house. Turns out his wife was not too pleased about the 400-lbs of ammunition stacked like cordwood next to the front door! This is what a 400 round range session looks. The author was tasked with performing an endurance test on the new Ruger Super Blackhawk in .480 Ruger. Ever since Sturm, Ruger & Company released the .480 Ruger in the love-it or hate-it Super Redhawk back in 2001, revolver aficionados have been brow-beating Ruger to release this cartridge in their popular single-action revolver lineup. The combination of Super Blackhawk and .480 Ruger is debated incessantly on gun websites yet Ruger’s reticence to actually make this happen has frustrated handgun hunters who have long wanted to see this marriage come to fruition. 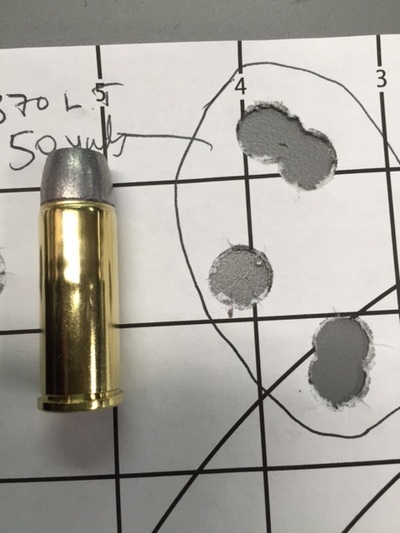 Basically a shortened .475 Linebaugh, the .480 Ruger is a serious big-game hunting round that even when loaded to spec isn’t too abusive to the one pulling the trigger. Ruger has finally relented by offering not only their .480 Ruger in the Super Blackhawk line, but also the raucous .454 Casull. Ruger has offered the Super Redhawk in .454 Casull since the late ‘90s. Handgun hunters everywhere have reason to rejoice as two of their favorite calibers can be had in the revolver they love in an affordable package. Available as a Lipsey’s (www.lipseys.com) distributor exclusive, I cannot imagine supplies will last long. The heart of the new Super Blackhawk is the five-shot cylinder machined from special 465 Carpenter steel. A standard Ruger six-shot .45 Colt cylinder is on the left for comparison. Here’s what you need to know. The new revolvers are based on the old revolvers. 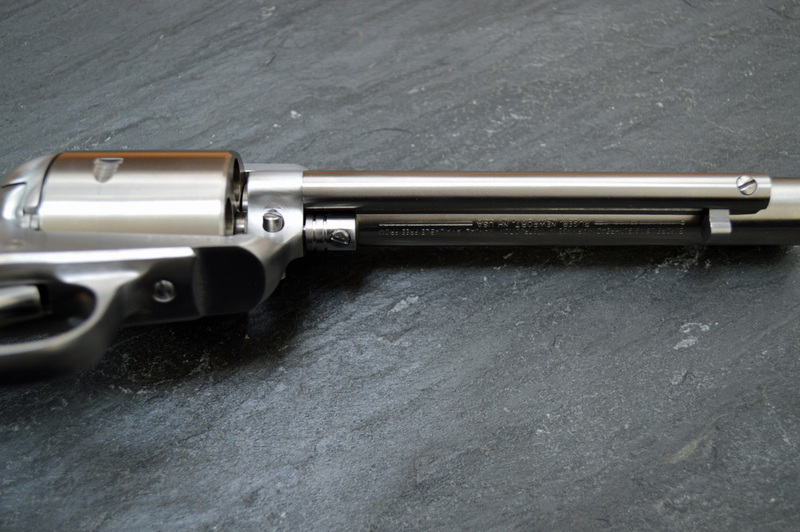 Ruger used the standard Super Blackhawk frame in stainless steel (415 stainless steel). The barrel is 6 ½-inches in both models (at least initially) and made from 15-5 stainless steel, with a 1:24 and 1:18 twist for the .454 Casull and .480 Ruger respectively. The barrel is straight, without a taper and features a front sight base that is silver soldered on with a pinned in sight blade, and a standard Ruger adjustable sight in the rear. The cylinder is carved from 465 Carpenter steel, the super-strong, hard-to-machine material that first made an appearance in the late ‘90s in the Super Redhawk in .454 Casull (and later in the .480 Ruger version). The cylinder is a five-shot configuration, with counter-boring to encapsulate the case heads. Dimensionally the cylinder is like that of the .44 Magnum Super Blackhawk, save for a tiny bit more length to the rear to compensate for the recessed case heads. The new revolvers were fitted with an extra-long ejector rod housing that made its first appearance on the limited run of stretch frame .357 Maximum revolvers of the early 1980s. A Bisley grip frame is the only one offered and the only one Ruger deemed acceptable for these applications. A locking base pin guards against the base pin walking out under recoil, a nice touch. Both new models feature a locking base pin and a long ejector rod housing that was first used on the Ruger .357 Maximum revolvers of the early 1980s. I tested both models thoroughly with factory fodder. Both pre-production models suffered from teething pains that we have been assured have been sorted out, but are to be expected from test guns. Chronic screw loosening (grip frame in particular) plagued the .454, but a drop or two of thread lock fixed that issue. The ejector rod housings on both loosened regularly, and both launched their front sights, ironically on the 480th round out of the .480 model. The .480 also had its barrel unscrew itself, but Ruger promptly fixed it and had it back in my sore hands to resume testing. Recoil means something different to every shooter. While I am no stranger to recoil, these relatively lightweight powerhouses pack a wallop on both ends. Not the worst you may encounter, but a considerable step up from the venerable .44 Magnum. The .454 Casull Super Blackhawk kicks noticeably harder than its .480 Ruger counterpart. 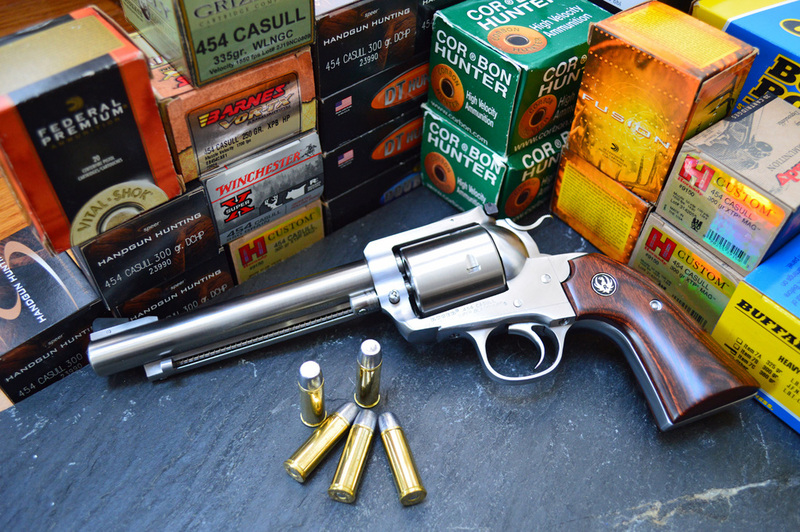 This is no doubt due to the higher pressure levels .454 Casull ammunition is loaded to and while the .480 delivers a heavy push, the .454 has a snappy and much sharper recoil impulse. Both revolvers delivered outstanding accuracy, the only limits being my eyesight with open iron sights, so I equipped both models with red dot-type sights of radically different designs (see sidebar). I own a number of more expensive revolvers that cannot compete with the accuracy these two new Rugers displayed (see accuracy tables).